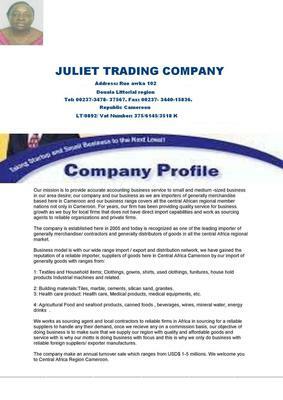 we have got one mail from Juliet Trading Company located in cameroon. Mrs) Juliet Kamga / Managing Director . We have got mail from these sender Juliet Trading Company regarding the purchase of safety shoes and thwy have told us to submit porforma invoice and they will be entitled to 1% commision as they are sourcing agent for the USADP project now as we have submitted the porforma invoice they are asking us to send our document through courier to cameroon. 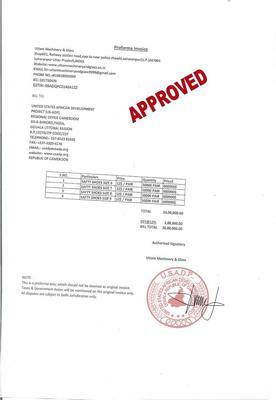 its looking something suspicious as they have approved our invoice and st the last step of payment confirmation. please tell us what to do?